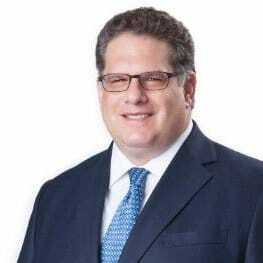 oneZero Financial Systems, a provider of brokerages and trading technology, has appointed former Thomson Reuters’ head of FX trading Philip Weisberg as a Strategic Advisor, according to a company statement. Mr. Weisberg, the founder and former CEO of FX multi-dealer platform FXall, is also managing Matzliach Capital LLC, a consulting firm that also invests in growth stage financial and technology companies, a position he will maintain along with his new advisory role at oneZero. Philip is also assuming a similar role with several clients of Matzliach Capital including cryptocurrency exchange & trading platform B2C2 and AxiomSL, a provider of regulatory reporting, data, and risk management solutions. Back in 2013, Philip Weisberg was appointed Global Head of FX for Thomson Reuters’ trading platform business Marketplaces, as part of a management shake-up that came five months after it acquired FXall. He joined the information provider when it bought FXall, the currency trading platform he helped found, for $625 million. Thomson Reuters acquired full control of FXall in 2012 as the company wanted to broaden its brokerage fee-based business beyond the interbank FX market.